Metpar has emerged as an industry leader by emphasizing product designs, quality, and customer support. Our 60 year history has enabled Metpar to be one of the most widely specified products within its industry. Quality, Craftsmanship, Integrity, Experience, Service. For nearly half a century, these words have come to define the foundation of All American Metal Corp. Our management team brings over 50 years of experience to the design, manufacture & sales of toilet partitions, screens, shower units & related products. 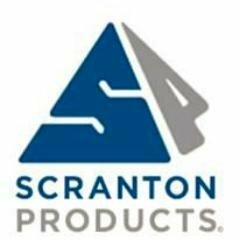 Scranton Products lockers and partitions come closer to being totally maintenance free than any other materials on the market today. “Ampco has a reputation for quality and a service within the commercial building products industry, best-in-class manufacturing and distribution locations, and great people,” said Christopher J. Hansen, Founder and CEO of Fifty Door Partners, LLC. “All of these things make it a good fit for us as we grow the AJW brand. General Partitions manufactures a full line of toilet partitions. We not only offer one of the finest quality toilet partition in the industry but we stand behind it with over 50 years of manufacturing experience allowing us to manufacture and ship on time.